Jo and Jan leave the UK to live on their 110-year-old Dutch Barge in Holland. It was rather a wreck and Jo had to call on all his skills as a baker to transform it into something fit to live on - at least for people with low expectations. The book is a humerous ramble through a thicket of difficulties. They emerge, following a year renovating the boat, into a fascinating, sunlit world where they soon start to antagonize people in a new country. You would have thought that five years would be long enough to get the hang of the boating way of life but Jo and Jan continue to confound the odds and get themselves into even more difficulties. 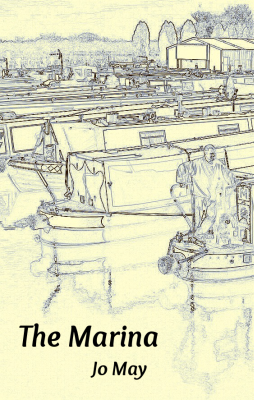 Their boating days are approaching an end but this book contains new adventures and reflections of a way of life once never dreamed of. This is where it all began when Jo and Jan took the life endangering decision to sell a perfectly reasonable house in the Shropshire coutryside and swap it for a metal tube in a ditch. Ahead was a learning curve so steep that, had they realized the enormity of it, they may well never have set off at all. 'A triumph of optimism over ablity' is how Jo describes the whole insane venture. Thistledean is a small town in the north of England. A quirky place at the end of a single track road, where the residents like their privacy but are open to money-spending tourists. Jake inherits his uncle's apartment. Here he discovers a set of six journals relating the final fifteen years of his relative's life. They give a fascninating insight into his uncle's life, the people he meets and the town he called home. Life on a narrowboat is usually peaceful. The residents of Watergrove Marina, deep in rural England, find themselves battling a local bully who seems determined to disrupt their peace and quiet. Banding together our ageing boaters set out to fight this manace. An ordinary man, Harry Dunn, inherit rather more than he bargained for from an unknown uncle. Uncle Will's legacy leads Harry down a dangerous, and at times unpleasant, road. For company he has Mary, a lady he befriends while struggling to cope after his life was blown apart by factors he couldn't begin to understand. But who can he trust?